Hi everyone, my name is Pippa and I am about 5 years old. 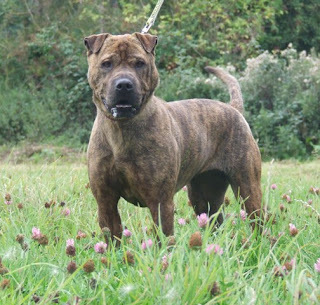 I am a cross breed and I am looking for a new loving home. I love people, especially ones who like doggy cuddles. I have previously lived with children and would be more than happy to live with sensible children again. I don't mind other male dogs and the staff here at the kennels say they are happy to oversee any new dog introductions. I'm not really sure about cats (they are funny looking things! ), if you are prepared to teach me I would consider living with one. I really am very friendly and enjoy being a round humans. I sometimes get anxious if I am left alone for too long and think I would be best to live with people who are at home most of the time. I also loves my walks so would like to live with someone who can take me out at least once or twice a day. Please come and see me, I am sure that you will fall in love with me and I promise I will be a great companion! For more information please visit www.dogs4adoption.co.uk. Pippa is currently in kennels near Taunton, Somerset.